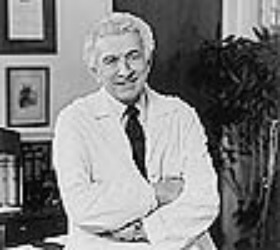 Arnold J. Friedhoff, a leader in the development of a scientific, biologically based psychiatry, died on February 21, 2001, at the age of 77 years. For almost 50 years he worked tirelessly to make psychiatry into an applied neuroscience. This was done not only in his laboratory but through individuals he trained and the colleagues he recruited to work with him at NYU. Amongst the giants who joined with Arnold Friedhoff were Menek Goldstein and Samuel Gershon. It was an extraordinary group at a critical time who helped to move empirical psychiatry into the pantheon of reproducible science. He served as president of the NYU Faculty Council, senator on the University Senate, and chair of the Institutional Review Board. Arnold Friedhoff was deeply involved in leading and even creating many major psychiatric organizations.. He served as president of the American College of Neuropsychopharmacology, the Society of Biologic Psychiatry, the American Psychopathological Association, and the National Tourette's Society.